Although I am not pretty satisfied with the result I liked the scene. 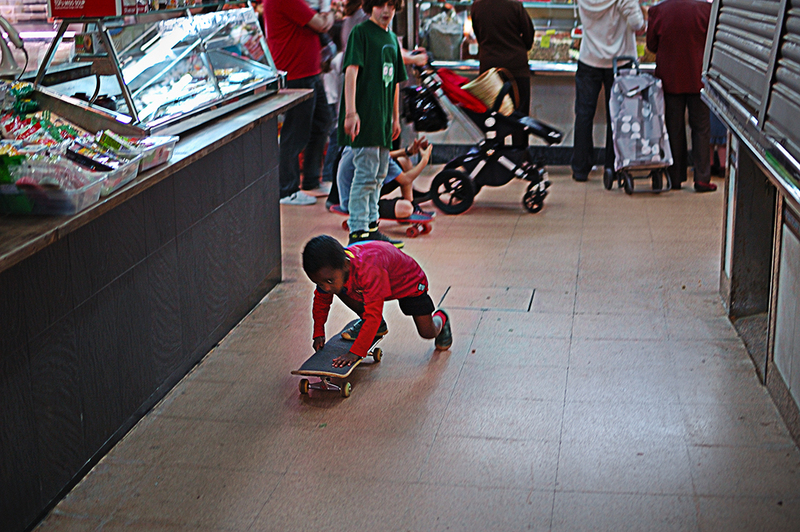 A boy wearing a FC Barcelona soccer jersey rides on a skateboard which is almost his size inside Travessera de Gracia market. Nice new week everyone! I love the expression in his eye as he looks up at the camera. You caught a magic moment, Carlos!